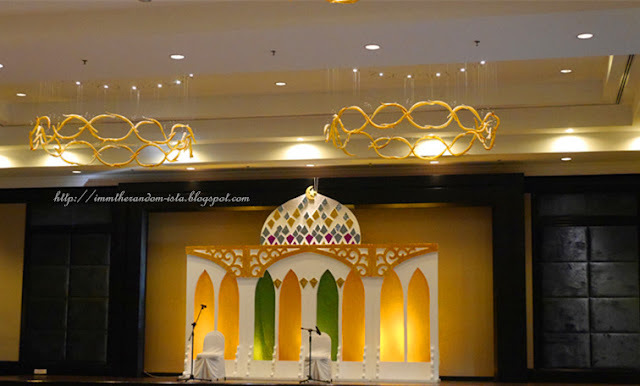 Here comes the annual Bulan Puasa Ramadhan again which is the time our fellow Muslim devotees will commit their fasting. 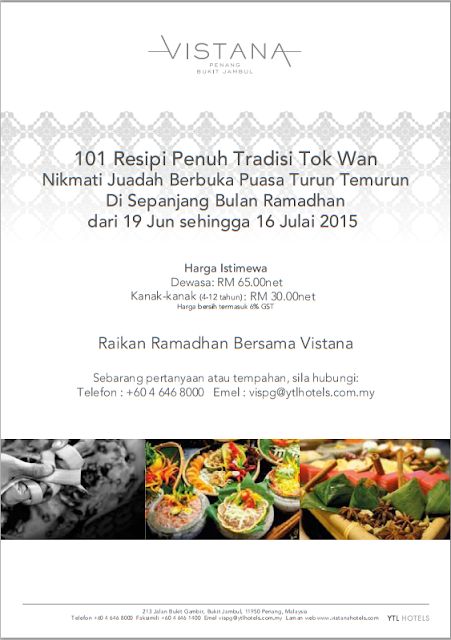 In conjunction of the holy month, Vistana will be offering a very competitive price for their Ramadhan theme "Tok Wan 101 Recipes" buffet. Without further ado, below are the pictures to tickle your taste buds. 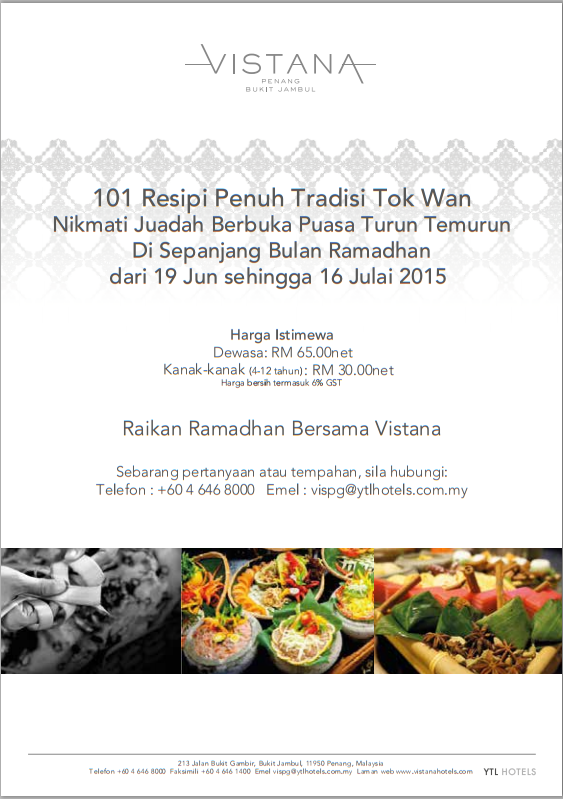 I guarantee you guys will be spoilt for choices available at Vistana's Ramadhan Buffet Line. 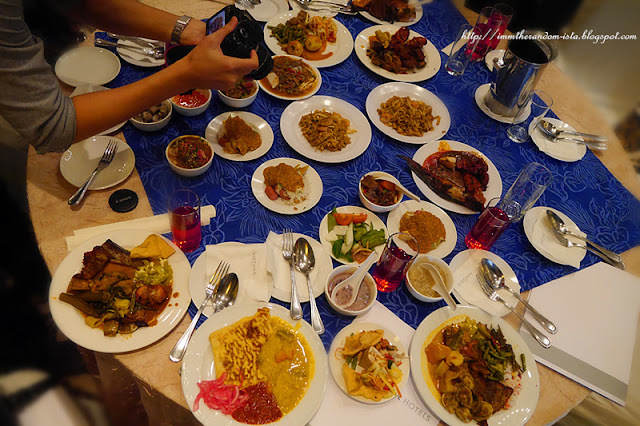 Please take note that I will not review every single dish due to the abundance of food available but then I will bold the ones that are worth going for. For those who loves their vegetables fresh, here are variety of ulam for you to opt for and go with dressings of your selection. 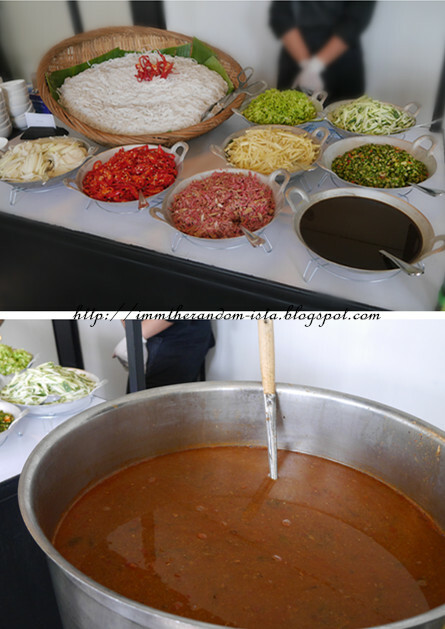 My personal favourite dressing would always be the Sambal Belacan but it's good to try something out of the ordinary at times like the authentic Malay Sambal Kicap Limau Kasturi, Budu & Cincaluk. 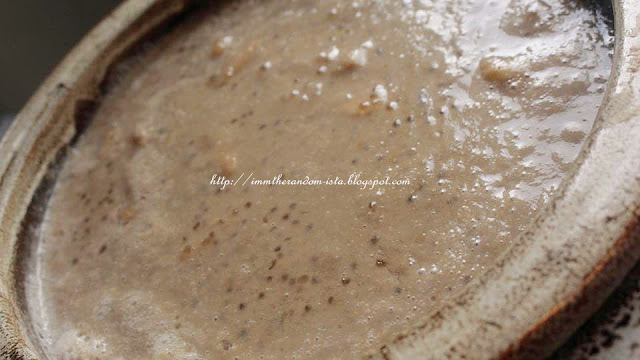 Ulam Raja, Ulam Pegaga, Daun Selon, Timun, Kacang Panjang, Kacang Botol, Petai, Tomato, Bendi, Kobis, Jantung Pisang, Daun Kaduk with different dressing such as Sambal Belacan Asli, Sambal Kicap Limau Kasturi, Budu & Cincaluk. 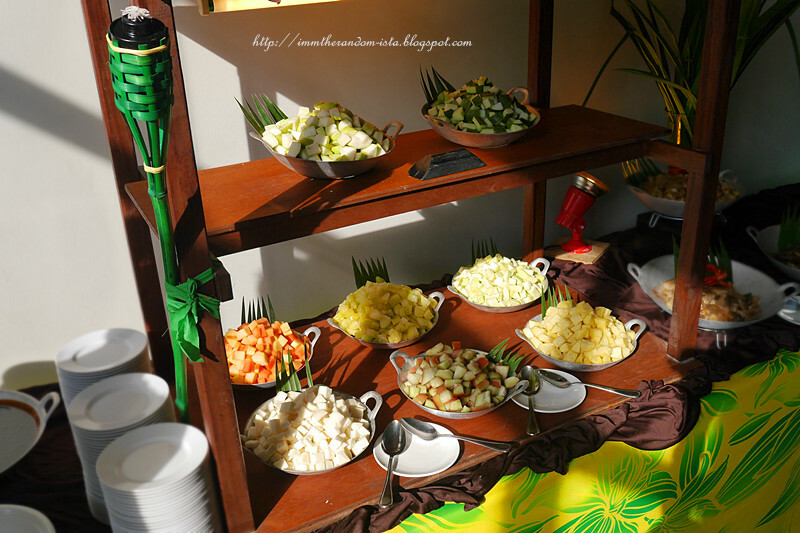 Aside from having ulam, there also have vibrant colours of appetising kerabu to give your meal a refreshing start. 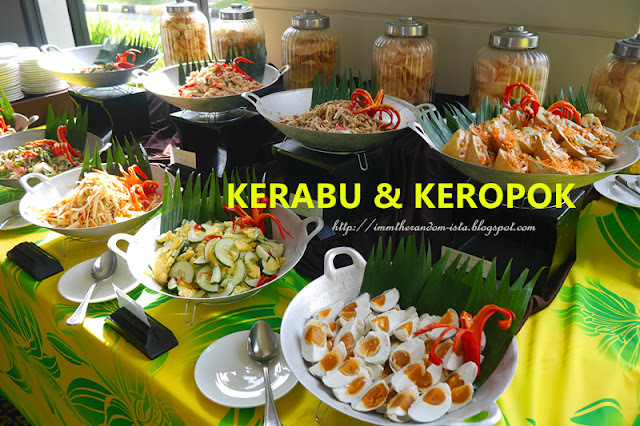 Kerabu Ulam, Kerabu Mangga, Acar Jelatah, Tempe Ikan Bilis, Kerabu Sotong, Kerabu Ayam, Kerabu Taugeh, Kerabu Sayur, Kerabu Ikan Masin, Tauhu Sumbat dan Kuah Kacang, Telur Masin & Ikan Masin Goreng. Who else loves Papadum? Make sure you help yourself with extra pieces of their crispy Papadum. 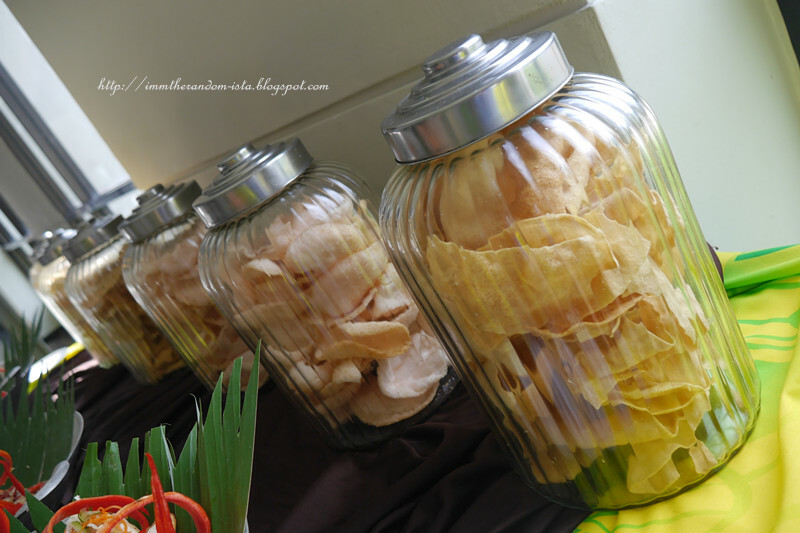 Keropok Ikan, Keropok Udang & Papadum. 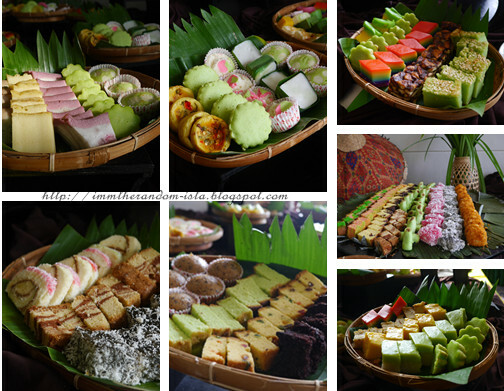 Mangga Muda, Betik Muda, Jambu Air, Jambu Batu, Sengkuang, Timun, Belimbing, Nenas with Kuah Rojak, Kacang Tumbuk & Biji Bijian. 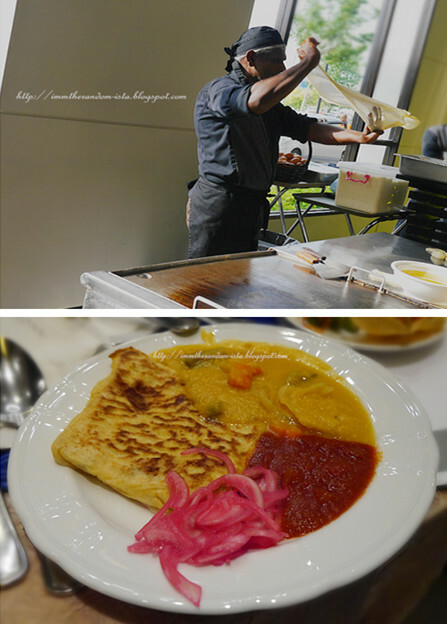 Some live performance by the uncle from the Murtabak stall. 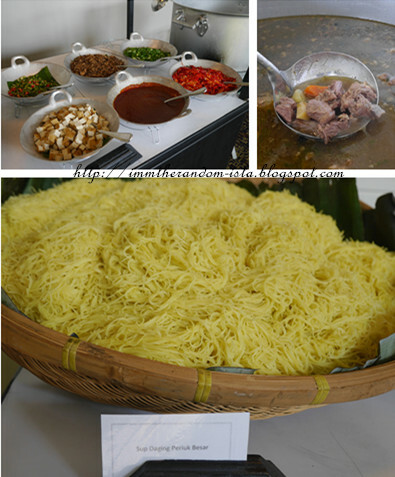 Their Assam Laksa is something that should not be missed as it is one of their signature dish. 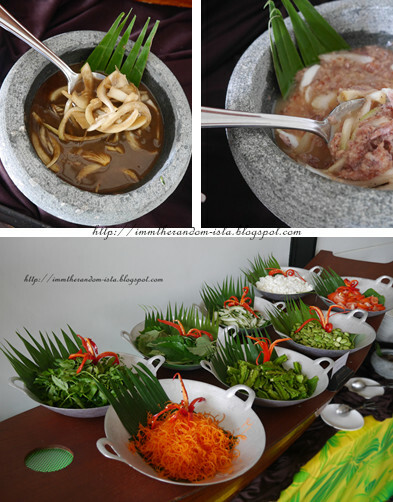 Not to neglect their Sup Daging Periuk Besar which were simmered to its optimum which allows the robust flavours and spices to tantalize your tastebuds. Definitely a must have! 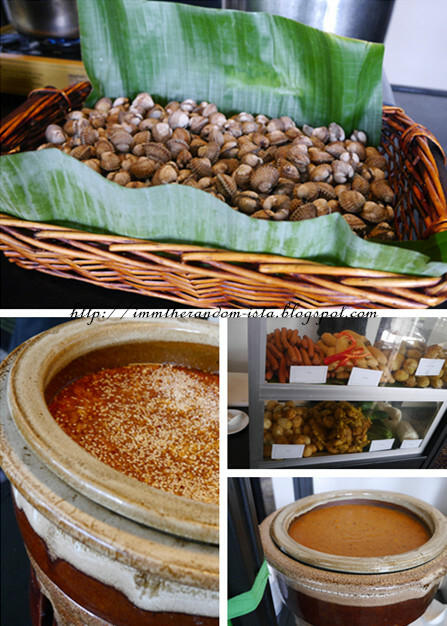 Pasembur Campuran (Ubi Kentang, Telur, Timun, Sengkuang, Taugeh, Kek Ikan, Sosej, Tauhu & Cucur Udang), Kerang Kukus, Murtabak (Murtabak Ayam, Sambal Bawang, Dalcha & Bawang Jeruk), Char Koay Teow, Asam Laksa, Sup Daging Periuk Besar, Ais Kacang Pelangi (Krim Jagung, Kacang Merah, Buah Nau, Cincau, Sagu Mata Ikan, Susu Sejat, Agar-agar, Sirap Gula Melaka, Sirap Ros,Coconut Milk) & Teh Tarik. 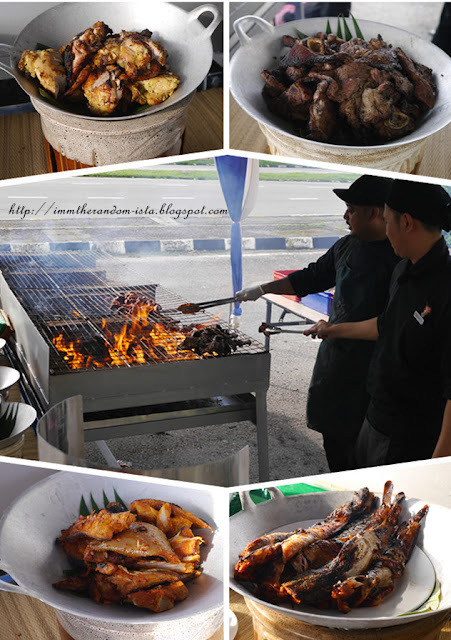 Another major attraction that will be set up and BBQ on the spot outdoor by Vistana this year besides their Char Koay Teow. Really like how they prepare several types of marinate , each of the different marinate has its own distinctive taste. Personal favourites goes to their marinated fishes. 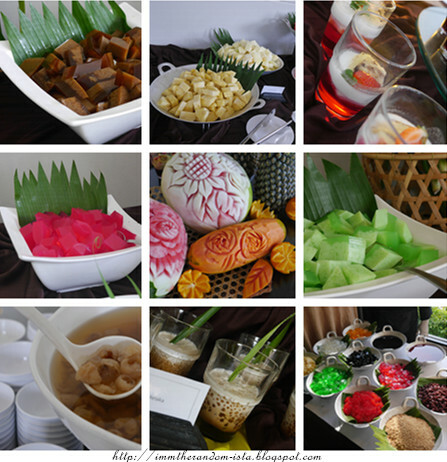 2 Jenis Ikan, Ayam, Daging, Kambing, served with Sos Lada Hitam, Sambal Merah & Air Asam. 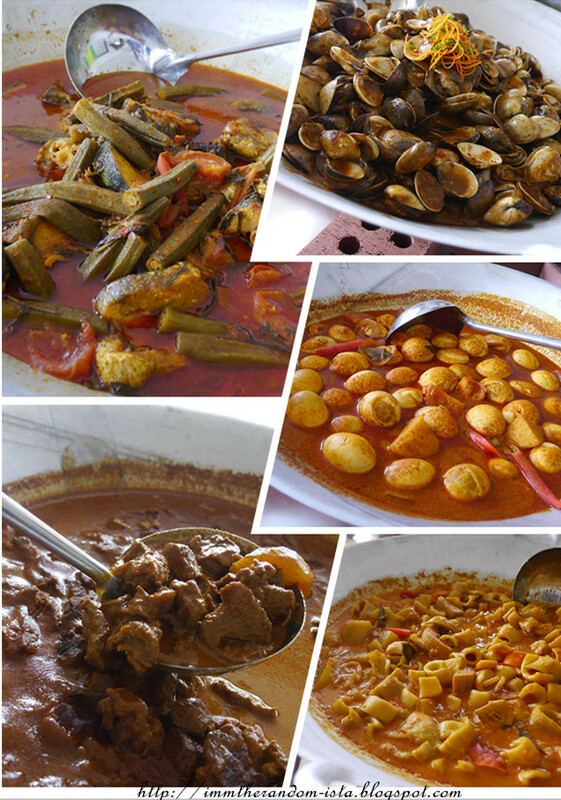 Seafood lover should not miss their Rebung Gulai Sotong, Daging Rendang and Ayam Goreng Berempah. 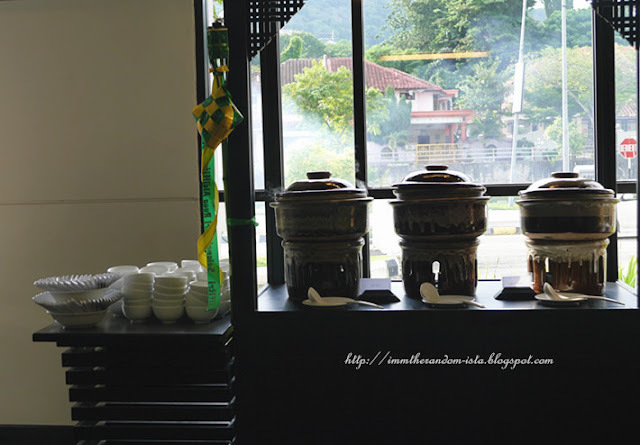 Those are the few dishes that us diners enjoyed the most. 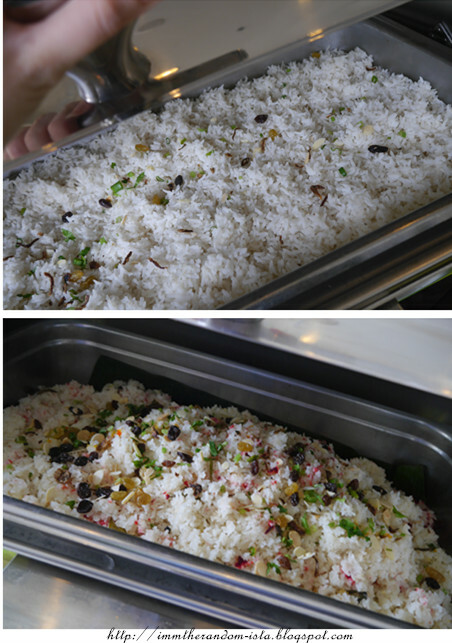 Good to go with either type of the rice selections. 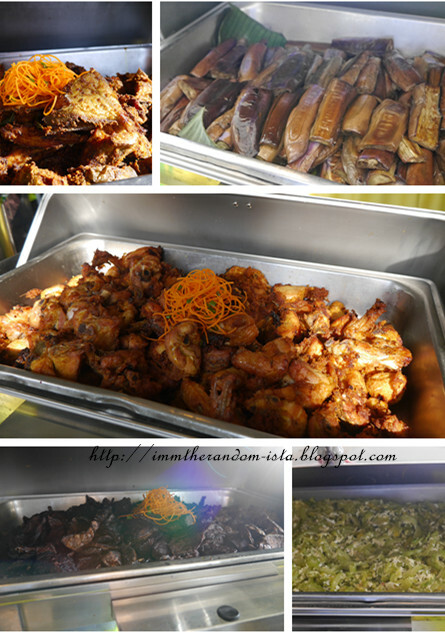 Ayam Goreng Berempah, Paru Goreng, Daging Rendang, Rebung Gulai Sotong, Bawal Goreng, Ikan Masak Asam Pedas & Siput Lala Masak Berlada. 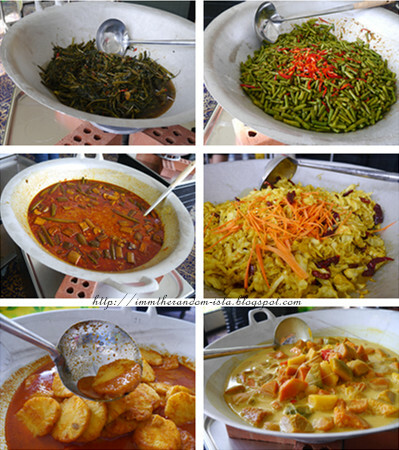 Kari Telur, Terung Bakar, Nenas Masak Pajerin Bombay, Sayur Kailan Ikan Masin, Sayur Asin Asin, Pucuk Paku Belacan, Kangkung Belacan, Kobis Goreng Kunyit & Kacang Panjang Goreng Sambal Belacan, Peria Goreng Telur, Labu Masak Lemak Cili Api, Sayur Kalio, Nasi Putih & Nasi Tomato. Pengat Pisang was boiled to the perfect consistency with mouthful of bananas. Definitely one of the best dessert available which is also why we had a second bowl despite our bloated tummy but no matter what always remember to have room for desserts. 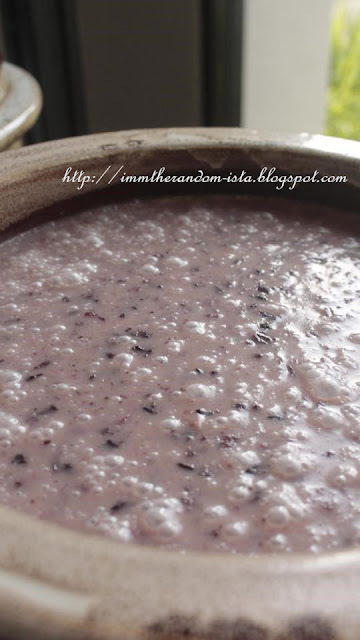 Not to forget their Bubur Pulut Hitam which was just as palatable. Needless I say more? 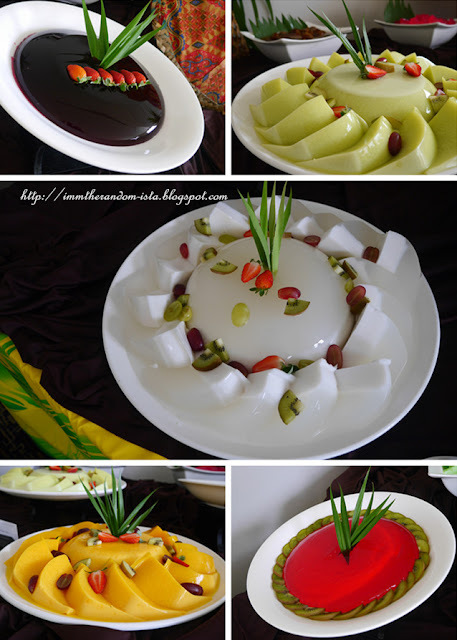 The colours themselves already presented how mouthwatering all these puddings and jellies were.